Scheda: Nazione: Hong Kong - Produzione: Golden Harvest Company - Distribuzione: Paragon Films - Soggetto: Hui Koan, Tsui Hark - Sceneggiatura: Hui Koan, Tsui Hark - Fotografia: Gam Sing - Montaggio: Kam Ma - Costumi: William Chang, Audrey Cheng, Kelvin Koo - Musiche: William Hu, Raymond Wong - Formato: Color, linguaggio cantonese - Durata: 101'. Cast: Vincent Zhao, Xin Xin Xiong, Moses Chan, Hung Yan Yan, Man Cheuk Chiu, Song Lei, Valerie Chow, Sing Ngai, Jason Chu, Michael Tse, Austin Wai, Ray Chang, Ricky Ho, Veronique Kaneta. Trama e commenti: kataweb.it - mymovies.it - cinema.castlerock.it - satyrnet.it - film.spettacolo.virgilio.it: «Un maestro d'armi decide di adottare il figlio del suo migliore amico che è stato barbaramente ucciso da una banda di pericolosi malviventi. Giorno dopo giorno, l'uomo, mettendo a frutto le sue doti e sfruttando la prestanza fisica del giovane, lo prepara alla vendetta che, come al solito, andrà a buon fine. Regista e produttore di John Woo, da tutti considerato il nuovo talento della cinematografia made in Hong Kong ormai emigrato negli Stati Uniti, Tsui Hark firma questo film di "Wuxiapian", vale a dire di cappa e spada cinese. Il genere, nato in Cina negli anni Venti, trova nel regista l'interprete più adatto...». 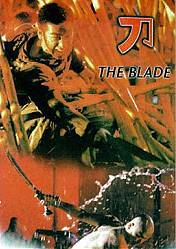 Plot Summary, Synopsis, Review: IMDb - entertainment.msn.com - p2pworld.to - uln.com - lovehkfilm.com: «Tsui Hark’s violent retelling of the One-Armed Swordsman comes off as a revisionist spaghetti western set in Ancient China. 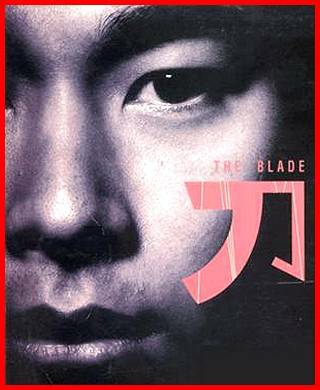 Zhao Wen-Zhou stars as On, a tormented orphan who has worked at a blade manufacturer since his father died years ago. 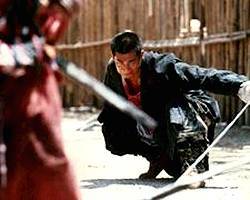 When he discovers that his father died saving his master from certain death at the hands of Fei Lung (Xiong Xin-Xin), he leaves with intent to gain revenge. Ling (Sang Ni), his master’s daughter, has a decidedly stranger affliction. She imagines the world of Gong Wu to be her own private playground of men who fight over her. On is one of her targets, and he bears a scar she gave him when they were young. When On leaves, she runs after him and is caught by some bandits plaguing the countryside. On saves her but loses his arm in the process, becoming “useless” and unable to seek the revenge he must. He falls into a chasm, lost to his former life. While On recuperates far away, his rival...». Conosciuto anche con il titolo: Das zerbrochene Schwert.